Sabbia Gallery was established by directors Anna Grigson (former director at Quadrivium Sydney) and Maria Grimaldi in early 2005. It has become Sydney's premier commercial gallery specialising in the exhibition and representation of Australia and New Zealand's foremost contemporary studio glass and ceramic artists. The gallery has developed an important and diverse stable of internationally renowned and award winning artists, who are creating dynamic and innovative sculptural, installation based and wall artworks. They display the variety, quality and growth of the Australian and New Zealand studio glass and ceramic movements and together are a compelling exhibiting presence. 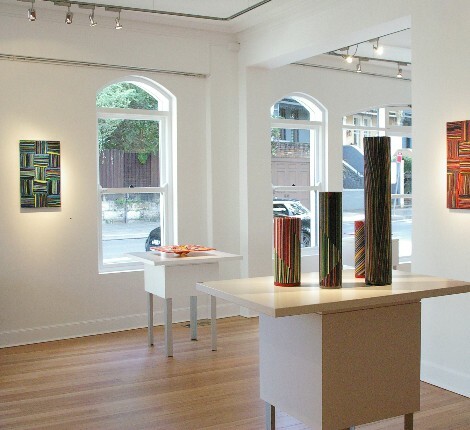 Sabbia Gallery, formerly in Surry Hills and now in Paddington since 2009, has become well known internationally for its outstanding group of artists along with its high standards of excellence. Its collector base includes clients from the USA, Europe, Asia and Australia. The gallery presents a comprehensive yearly exhibition schedule of both solo exhibitions presenting new work by its stable of artists, and curated group exhibitions, including the prestigious and greatly anticipated annual curated Masters of Glass and Masters of Ceramics exhibitions.